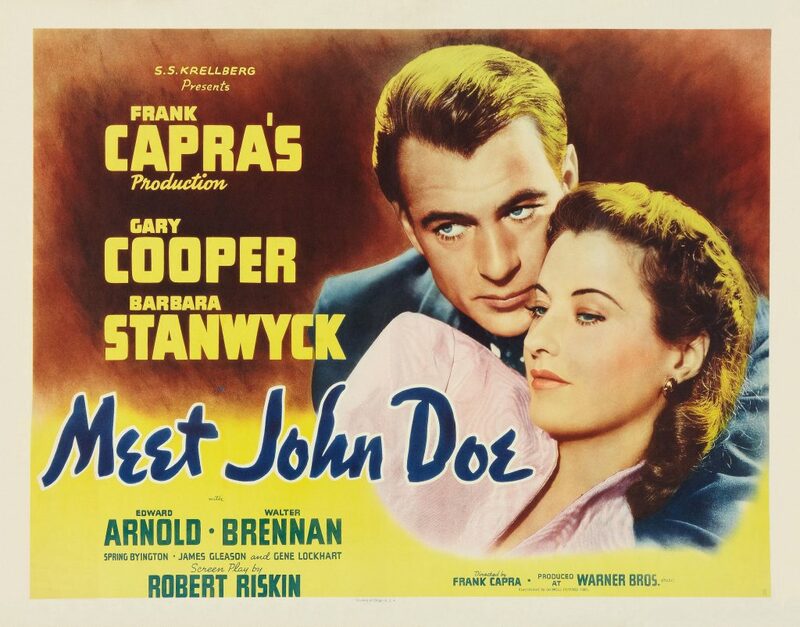 Meet John Doe is a 1941 American comedy drama film directed and produced by Frank Capra, and starring Gary Cooper and Barbara Stanwyck. The film is about a “grassroots” political campaign created unwittingly by a newspaper columnist and pursued by a wealthy businessman. It became a box office hit and was nominated for an Academy Award for Best Story. Though the film is less well known than other Frank Capra classics, it remains highly regarded today. It was ranked #49 in AFI’s 100 Years… 100 Cheers. In 1969, the film entered the public domain (in the USA) due to the claimants’ failure to renew its copyright registration in the 28th year after release.